genre definitions | two men enter . . .
A friend recently published a smart review of Kazuo Ishiguro’s 2005 novel Never Let Me Go. You should go read it. Her review and questions, along with my less-than-clear recollection of various aspects of the book, led me to revisit it this weekend, and what follows are some loosely-organized critical thoughts on the book. Everything after this assumes the reader has read the book, which has a major plot element withheld in the beginning chapters. This thing is probably better left unknown if you are reading it for the first time, so don’t read this if you are planning on picking it up. Also, what follows will not be a proper review with any attempt at synopsis or the like, so don’t expect that you’ll follow if you haven’t read it. Does the Term “Sci-Fi” Matter? 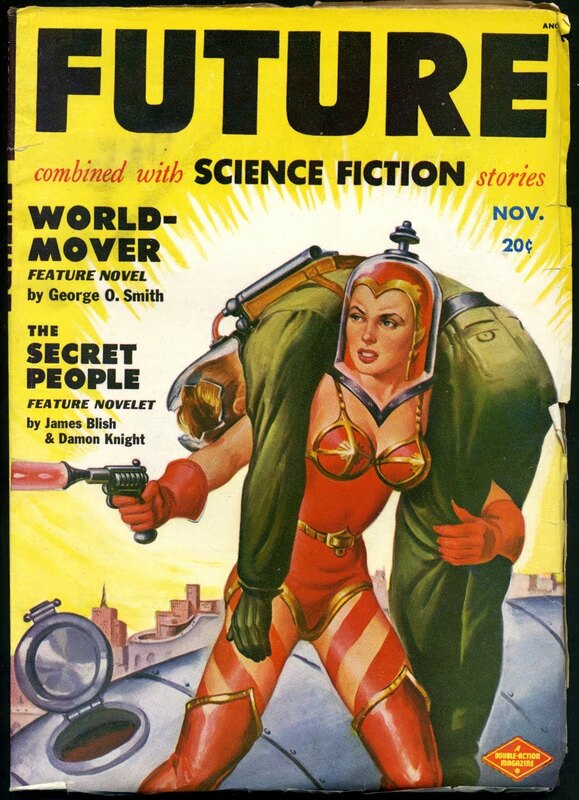 As science fiction entered popular culture, writers and fans active in the field came to associate the term with low-budget, low-tech “B-movies” and with low-quality pulp science fiction. By the 1970s, critics within the field such as Terry Carr and Damon Knight were using sci-fi to distinguish hack-work from serious science fiction, and around 1978, Susan Wood and others introduced the pronunciation “skiffy“. Peter Nicholls writes that “SF” (or “sf”) is “the preferred abbreviation within the community of sf writers and readers”.David Langford‘s monthly fanzine Ansible includes a regular section “As Others See Us” which offers numerous examples of “sci-fi” being used in a pejorative sense by people outside the genre. The abbreviation SF (or sf) is commonly used instead of “sci-fi”. Note that one of the authors featured in this issue is also mentioned in the wikipedia entry cited above. I figured I’d drop this here as an addendum to my prior post on dystopia. Like the definition there, this is one my students and I co-wrote based on my lecture comments on genre characteristics and reading an excerpt from More’s Utopia (Book 2, obviously). I wanted us to come up with a definition because those online and in lit. terms books were not particularly good (to put it kindly). However, it could still use some revision. Also, one of the most useful discussions of the problems of defining utopia is found in the introduction to Lyman Tower Sargent’s British and American Utopian Literature: 1516-1975. 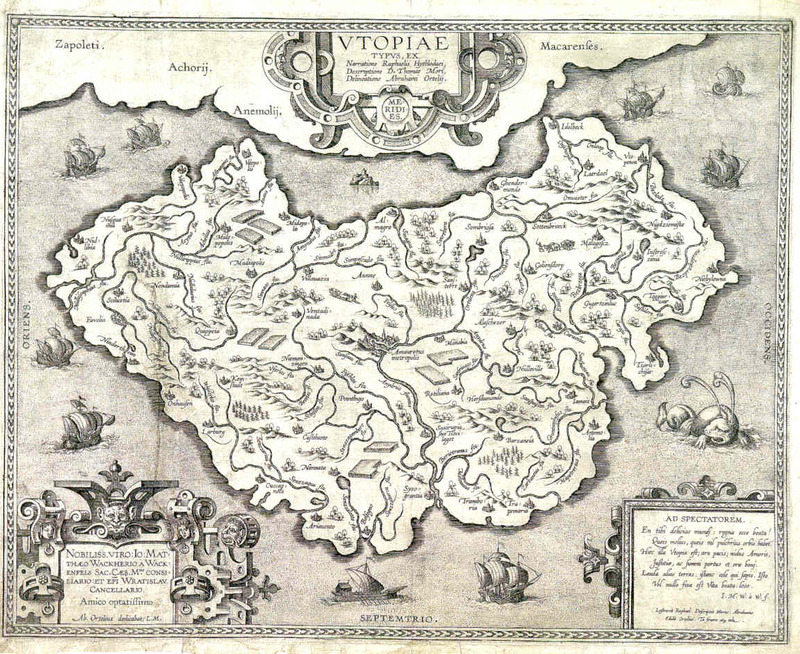 Utopia: While the common usage of “utopia” as a perfect place derives from literary utopias, it is a mistake to think that utopias are always the author’s vision of a perfect world. Some are; many aren’t. The genre begins with Thomas More’s Utopia (1516), and is originally a kind of fictional travel narrative. Utopian fiction is probably best defined as works that present a realistic, alternate, and in many ways better society than our own through an account by an objective observer. This observer describes the society’s political and social structures, usually after returning home from a visit to the utopia. Because of this need for extensive description, utopian fiction is often more concerned with developing setting than with plot, sometimes leading to the characterization of it as boring or bland. Because of the alleviation of some of our own societal ills in utopias, it is useful to think of them is as critiques of our own world’s shortcomings and, at times, even satire. I’ll ignore the problematic question of origin/etymology in this definition for now. The real issue here is illustrated by the fact that these definitions (the casual and the online dictionary) don’t fit classic dystopias that define and helped initiate the genre like Aldous Huxley’s Brave New World or Yevgeny Zamyatin’s We. Sure, one could argue those lives led by the populaces of the World State or OneState are miserable, and that they are “bad” places, but this is a relatively subjective and very dubious judgment. Are they characterized by human misery? No. There’s more complexity to it than that.